New findings from a team at the U.S. Department of Energy’s (DOE) Argonne National Laboratory mean we are one step closer to smart solar windows. This will help future buildings generate their own energy and move cities one step closer to being self-sustainable. 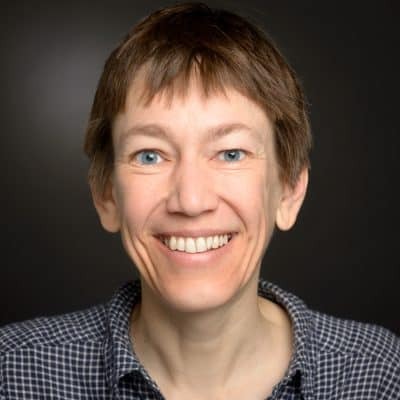 Jacqui Cole, a materials scientist originally from the University of Cambridge and currently based at the Argonne National Laboratory, works with colleagues to determine the molecular structure of working solar cell electrodes. They placed them within a fully assembled device that works just like a window – these dye-sensitized solar cells are transparent and work well in conjunction with glass due to their flexibility and thin, see-through electronic circuits. Although there have been improvements in transparent solar technology and smart windows, this is a significant technology increase as previously the interactions and unknown molecular mechanisms between the electrodes and electrolyte weren’t understood very well (i.e. how the dye interacts with the semiconductor). Research in Nanoscale earlier this year (which also came from Argonne National Laboratory) showed that certain chemical ingredients can influence the photovoltaic performance of solar cells – and a ‘modest boost’ in performance would be enough to make the cells competitive, according to Cole. She noted that manufacturing dye-sensitized solar cells is ‘very cheap’ in comparison to other solar cell tech. Although the organic dyes (such as the one used in this study, called MK-2) are still in lab trial stages, metal organic dyes are starting to become commercialised. For example, a building in Graz, Austria (the Science Tower) uses windows that generate renewable energy at the top sections of its tower. 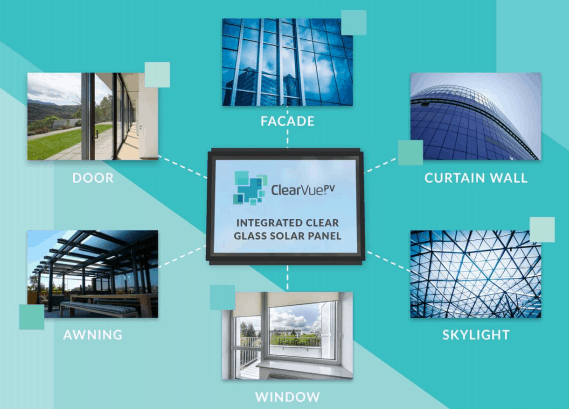 We’ll keep you updated with any news on solar windows and their real-world application. Some huge steps forward being made in this area recently! Kaneka Corporation create Solar Cell with record-breaking 26.3% efficiency. Transparent Solar materials which could be applied to windows, buildings, car windows (effectively any device with a clear surface) have been created at Michigan State University. The highly transparent solar cells represent a gigantic step forward for solar technology and we’re excited to see the different types of applications they’ll have when they come to market. 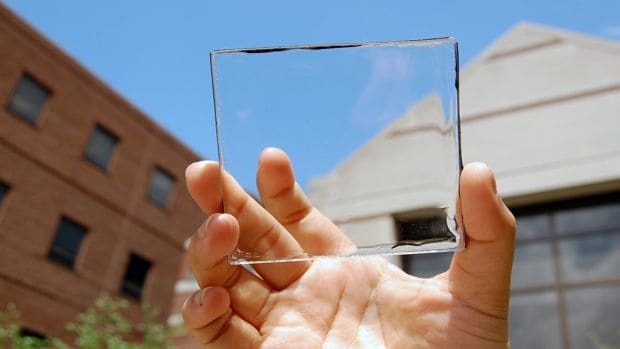 Transparent Solar Materials – Solar Windows and more? Engineering researchers at Michigan State University released a paper entitled ‘Solar energy that doesn’t block the view‘ in 2014. Since then they’ve been improving the technology efficiency and preparing it for market. Dr. Richard Lunt, the Johansen Crosby Endowed Associate Professor of Chemical Engineering and Materials Science at MSU, was one of the scientists responsible for this breakthrough. Along with Christopher Traverse, Richa Pandey, and Miles Barr from Ubiquitous Energy Inc, the team have been working towards increasing the efficiency of the transparent solar film. They’re currently recording efficiencies of over 10% (typical solar panels are 15-20% efficient in converting sunlight into energy), so there’s still a ways to go, but considering these are able to be applied while not affecting the usability of windows etc., it’s a major breakthrough. According to the SMH, the tech works via organic molecules within the transparent film – they absorb ultraviolet and infrared lightwaves (invisible to the human eye) and convert the lightwaves into electricity. The molecules do this by directing the lightwaves to small photovoltaic cells at the edge of the screen. This allows them to allow visible light through and still harness the energy. The film itself is less than one-thousandth of a millimetre thick! 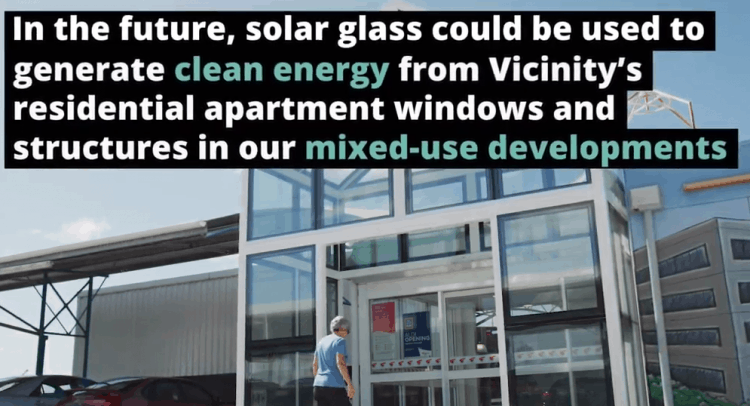 The team estimate there is 5-7 billion square metres of glass in the United States – so if this tech were to be applied at scale it could just about fulfil half of America’s energy needs. Another great step forward for solar panel technology! You can also read the article entitled “Emergence of highly transparent photovoltaics for distributed applications” on Nature.com by clicking here (requires subscription). Alternatively, watch the video below which shows a working prototype by Dr. Lunt!